Irrespective of platform we use to work on computers, Microsoft Word documents is a common format to share documented text. 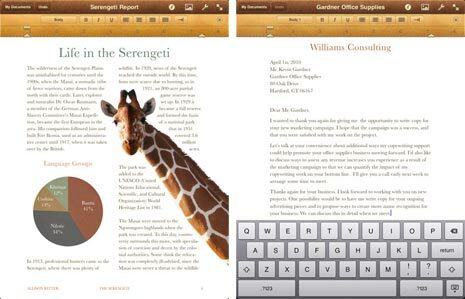 Do you want to work with MS Word documents on iPad? You can easily do that using Pages apps from the App store (it costs $9.99). Just add Pages app to your iPad and get going for working with MS Word documents. After adding Pages app, goto apps screen and open Pages app. Then click ‘Add’ button to select any MS Word document. It should open in nicely formatted interface window. You can also share documents created in Pages app. You can attach them as email as Pages files for Mac, Microsoft Word files, PDF documents. If someone emails you a Pages or Word document, you can easily import it into Pages for iPad, ready for review and edit.